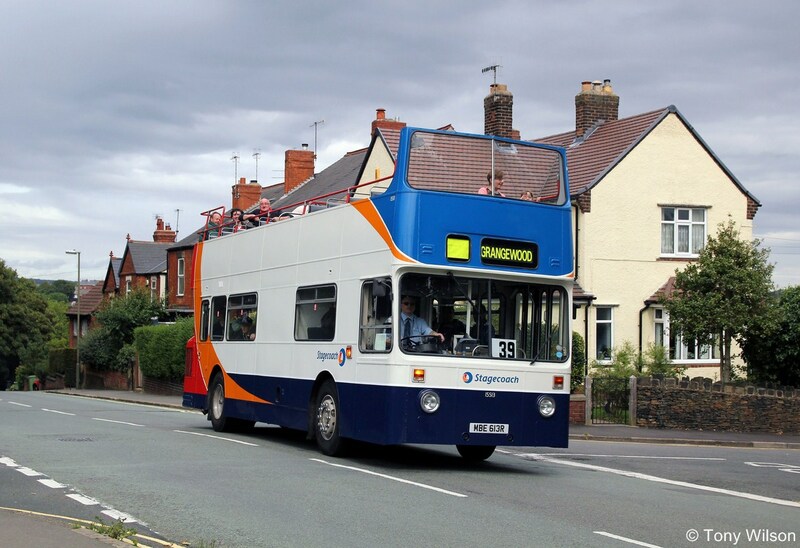 It is not often that one gets the opportunity to ride on Leyland Fleetline in revenue-earning service these days, let alone an open-topped version. 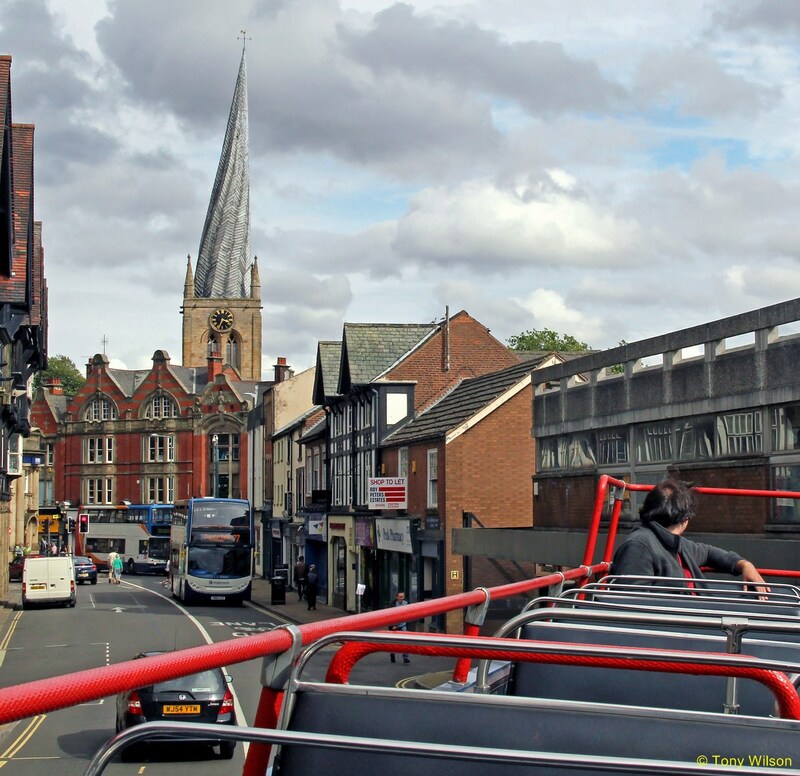 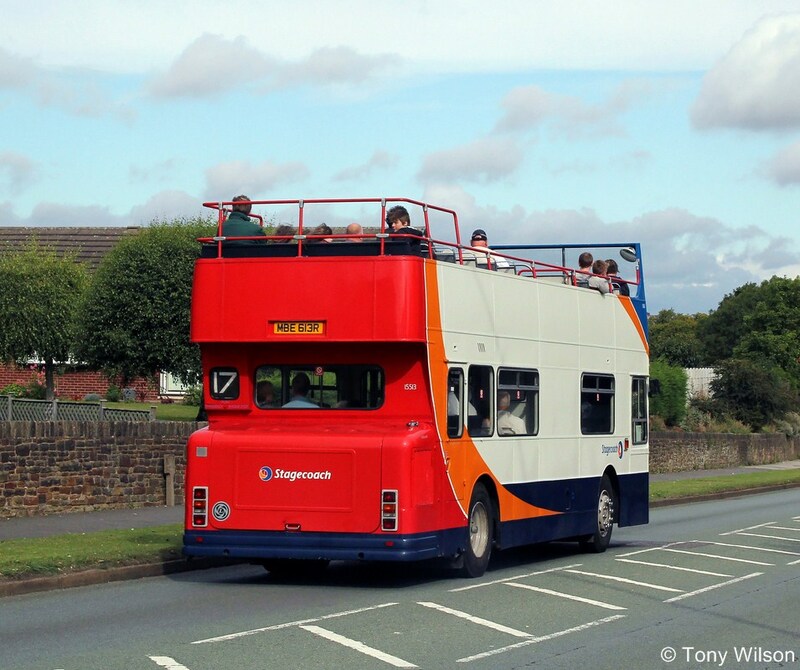 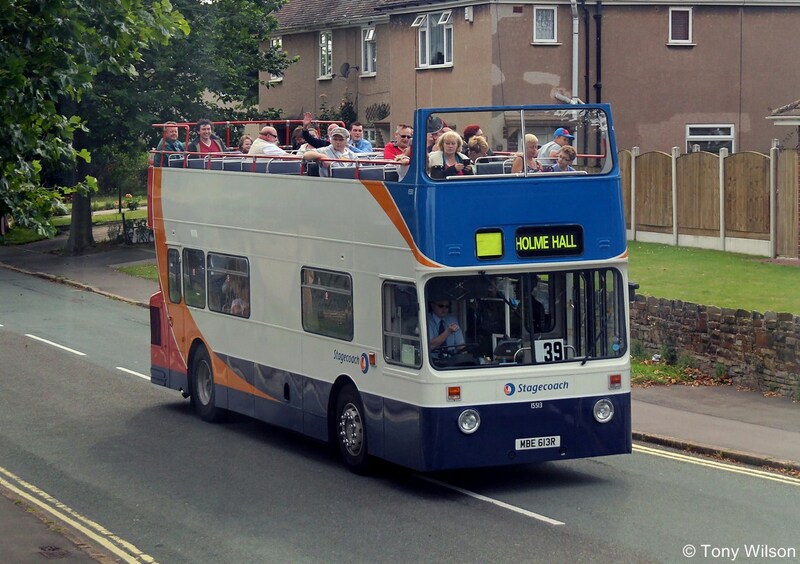 However, at short notice management at Stagecoach in Chesterfield placed their special events open-topper out on revenue-earning service for one day on Saturday 29th. 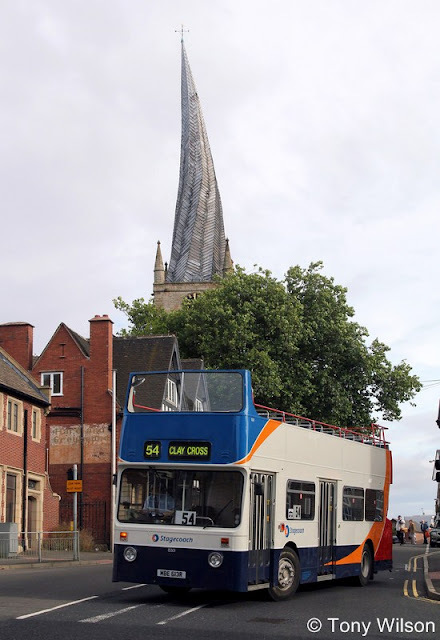 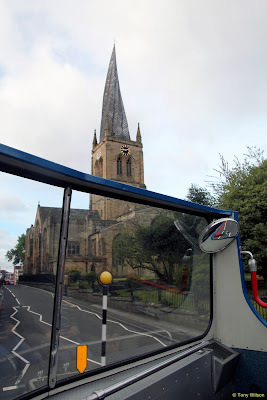 It certainly turned a few heads and put smiles on people's faces as it passed through the town centre via the crooked spire and through housing estates on several ocassions. The bus was one of six supplied as closed toppers in 1977 to the Grimsby-Cleethorpes company and became their fleet number 113. 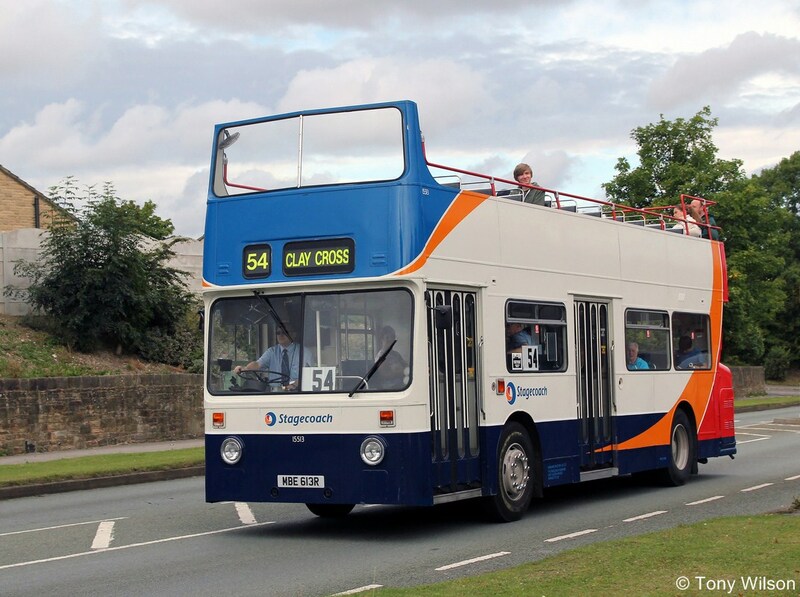 Eventually the roof was removed although it retained its dual-door H45/29D configuration. 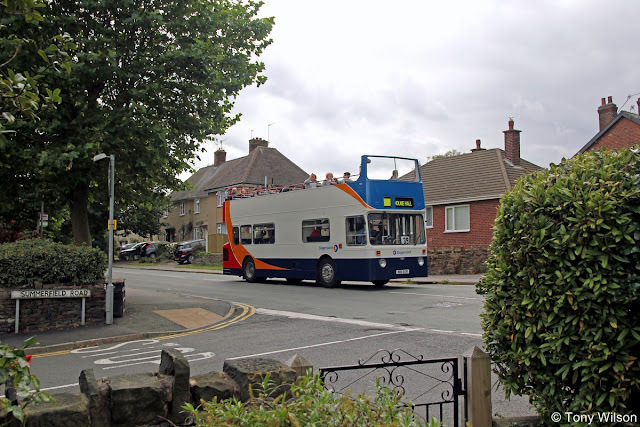 Subsequently the company was absorbed into the Stagecoach empire during the 1990s, and the bus has in recent years been assigned to the landlocked Chesterfield depot. 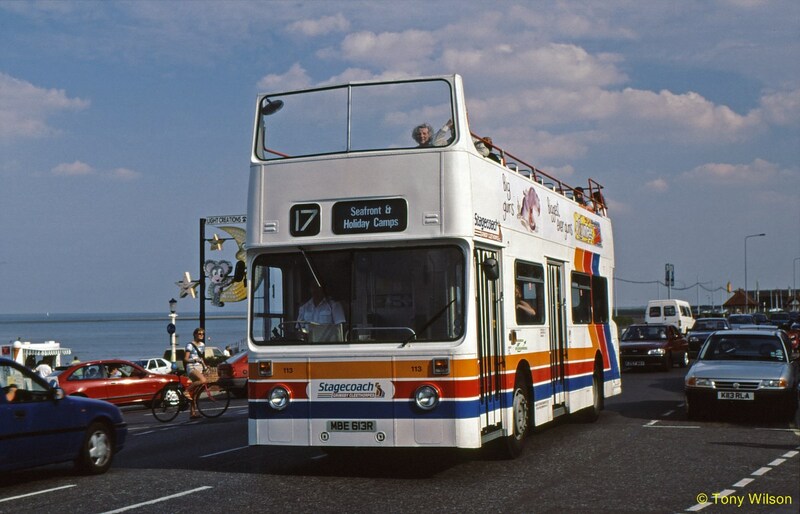 The bus fifteen years earlier plying its trade along the seafront at Cleethorpes in the original Stagecoach white and stripes livery.